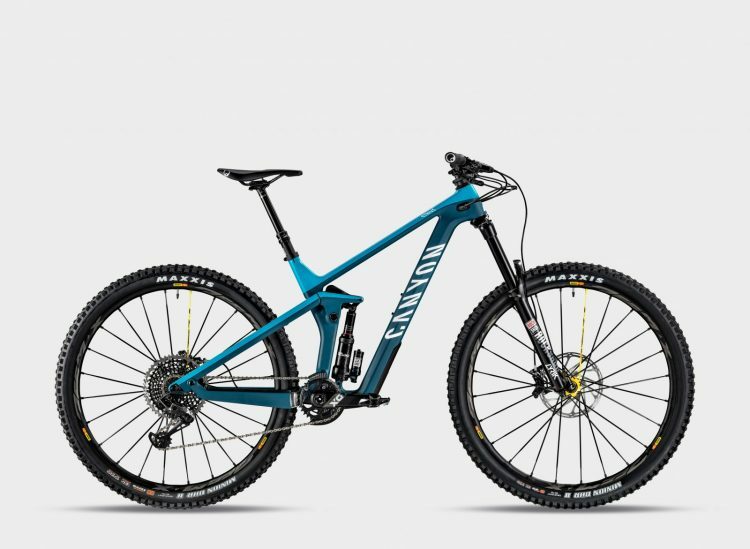 Last week we were in Malaga, Spain for the official presentation of the new Canyon Strive, the most successful and innovative mountain bike German online direct sales model brand. 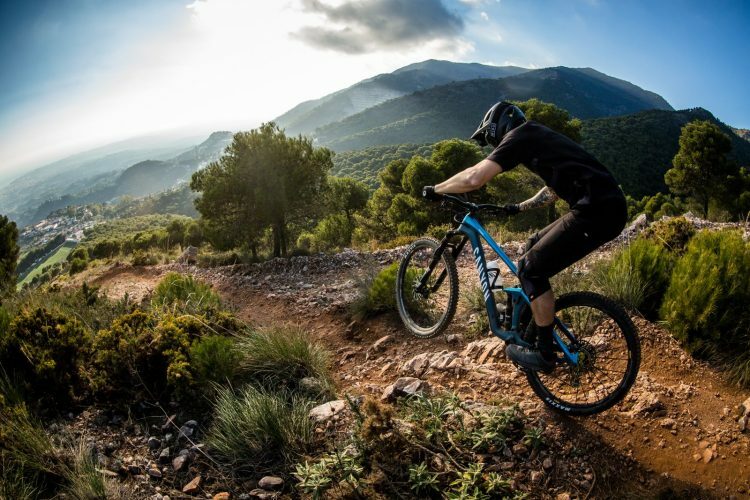 The long travel enduro model is completely redesigned, available exclusively with 29″ wheels and with an improved “Shapeshifter”, a system that allows you to adjust the geometry while pedaling, via a bar mounted remote button. The Strive combines a 66° head tube angle with a short fork offset (42mm with RockShox), which according to Canyon “this combination makes the bike stay smooth in fast sections, allowing the rider to put more weight on the front wheel and have more control.” They also add that “with the triple phase suspension system, originally designed for the Sender, optimal performance is achieved in a variety of types of terrain”. The new Shapeshifter is born from a joint collaboration with FOX, and works by way of an air spring operated by a hydraulic system that allows you to change the geometry of the bicycle between two different positions, DH or XC, through an ergonomic remote control with two push-buttons that are below the handlebar, and integrated with the dropper seatpost lever. When switching from one position to another, not only the geometry is changed, but also the compression curve of the suspension and the rear travel. The normal, go-to position of the Shapeshifter in the Strive is always DH, and if you want to move from one position to another, the rider must activate the XC remote button (see image above) and pull their weight slightly forward to allow the air spring to open up. To return to the DH position, you just press the corresponding remote button while the rider’s weight is back, or push down as if you wanted to compress the damper, that way the Shapeshifter closes. In DH mode, the rear travel is set at 150mm, the saddle position and the bottom bracket height is reduced, offering a lower center of gravity and a more relaxed head angle. 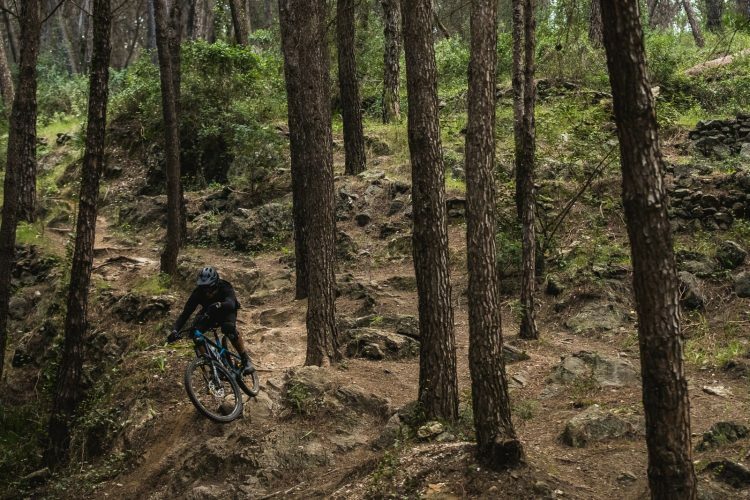 The wheelbase is also longer to offer greater stability in fast descents and steep sections. In XC mode, the rear travel is reduced to down 135mm, and the rear suspension becomes stiffer without the need to adjust the shock absorber. The position of the saddle is higher and the height of the bottom bracket increases. 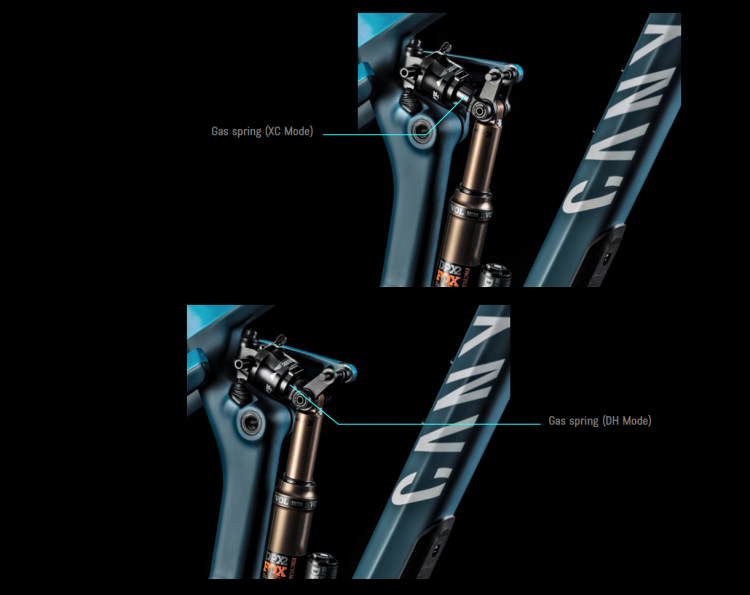 The head angle goes from 66° to 67.5°, and the seat tube shifts from 73.5° to 75°. 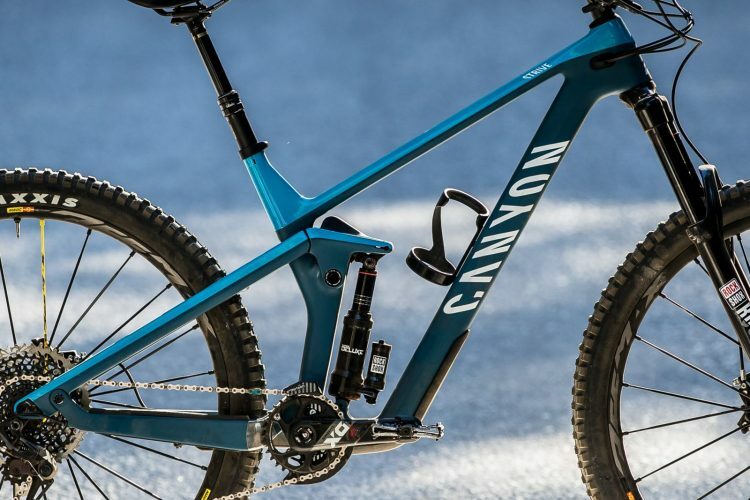 The truth is that Canyon has improved the Shapeshifter on the new Strive remarkably, being 200 grams lighter than the previous one and with a smoother more precise operation. The performance on climbs is similar to a trail bike with less travel, with the ability to deal with descents as if it were a mini-DH bike. The model we tested was the Strive CFR 9.0 Team, a replica of the bike that will be raced by the Canyon Enduro team. The design of the new frame is visually clean and elegant, and is made entirely of carbon fiber. It is 300 grams lighter than CF due to the type of fibers used and their combination with each other, but the stiffness is the same. This minimalist look is achieved thanks to the fact that the cable/hose routing is completely internal, as well as sleeved, thus keeping the bike as silent as possible. The protective sleeve on the down tube is a hard plastic panel that’s anchored with two screws, while the chainstay protectors are made of hard rubber and glued on. The front end allows you to use a bottle without any problems. The drivetrain is a 12-speed Eagle SRAM and comes mounted with an e*thirteen guide. 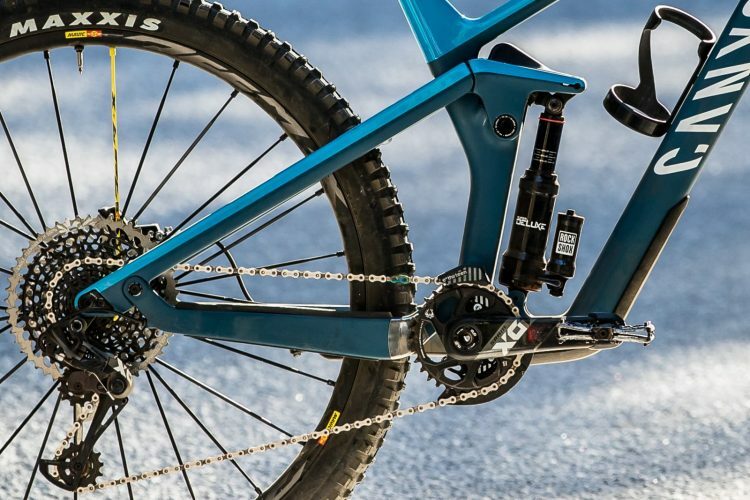 The 150mm rear travel is entrusted to a RockShox Super Deluxe RCT shock with rebound adjustment and 2 compression adjustment positions (Open / Closed), with option to adjust the low speed compression in the Open position. The wheels are Mavic Deemax Pro 29″ with an internal width of 28mm wrapped in Maxxis Minion DHR II 2.5″ wide tires. Up front we find a RockShox Lyrik RC2 fork with 170mm of travel and independent adjustment for compression speed at high and low speeds as well as external rebound adjustment. Both the handlebar and the stem are G5 – Canyon’s house brand component line. The handlebar is carbon, has a diameter of 31.8mm and measures 780mm wide and 30mm high, while the stem is 40mm long. 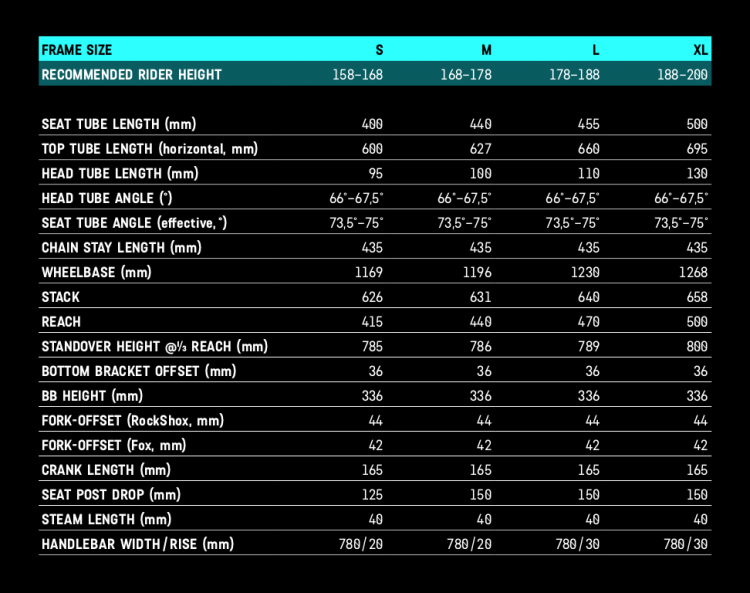 These are all measurements that I personally think are ideal for a bicycle like this. 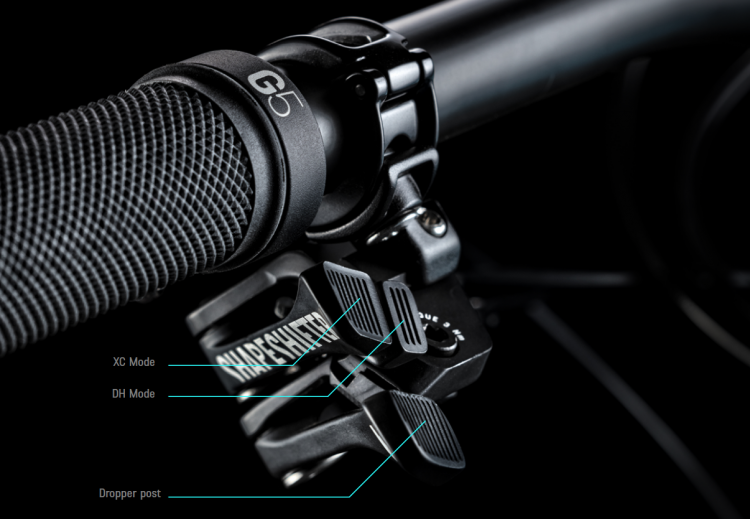 In the image below we can see the Shapeshifter remote with its push button and its integration with the RockShox Reverb 1x dropper lever. If we add the extra cable, plus the remote control of the Shapeshifter, plus the button of the dropper seatpost, for someone looking for visual simplicity on a bicycle, the front end of the Strive is not the most stripped down, but it is clear that if you want to use this state-of-the-art technology, you must accept a more “busy” cockpit, full of extra components. The new Strive gave me a good feeling from the first moment I got on it, even just trying it on the street before going to the trails. I am about 1.80m tall and I thought that size L was perfect for me. 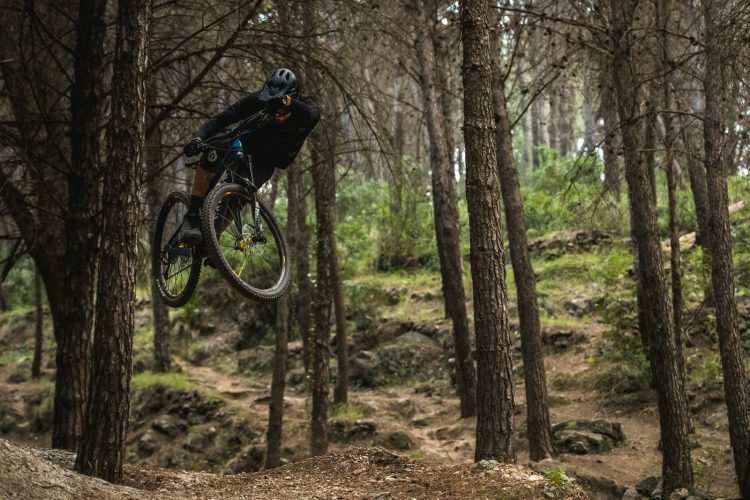 After getting used to the operation of the new Shapeshifter and adjusting the suspension, I was ready to try it on the dry, loose trails of Malaga. To test the performance of the new Strive uphill, I put the Shapeshifter in XC mode and left the rear shock open, since the terrain was uneven and not completely smooth. The early travel was sensitive, providing good traction at all times, and in general, the pedaling position is quite ideal from a body positioning standpoint. You really notice the difference when you go from pedaling in DH mode to XC, the latter being slightly more comfortable and efficient. 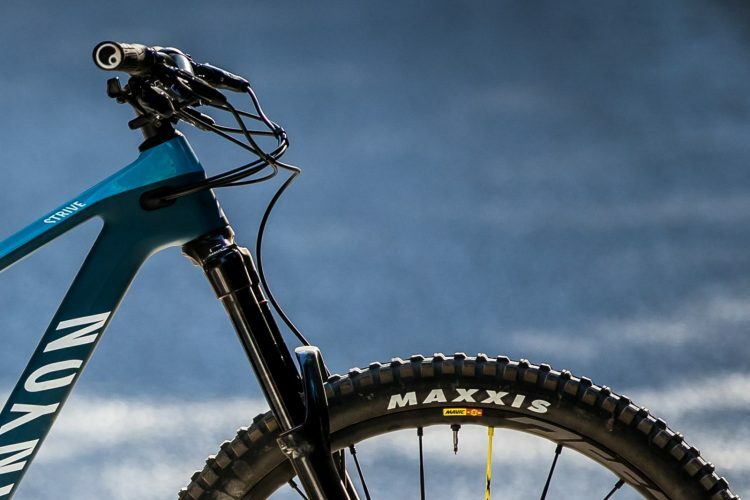 Despite being a 29″ wheel bike, already big in itself, I was surprised by how manageable, agile and accurate it was on the downhills, allowing me to enjoy the ride regardless of the type of terrain. 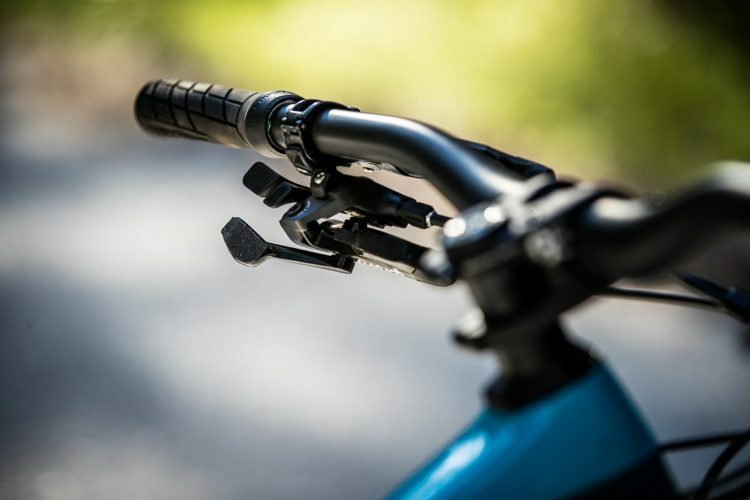 The suspension system is progressive and works really well, providing a stable platform in sections where the rider should squeeze and pump with the pedals so as not to lose speed, it allows you to take on and exit tight turns while still holding good speed. The technical zones full of stones and roots pass by without problem or hang up and the rear end absorbs mid to large size hits admirably. Last, but certainly not least, it’s comfortable to move in the air, especially for a wagon wheeler. 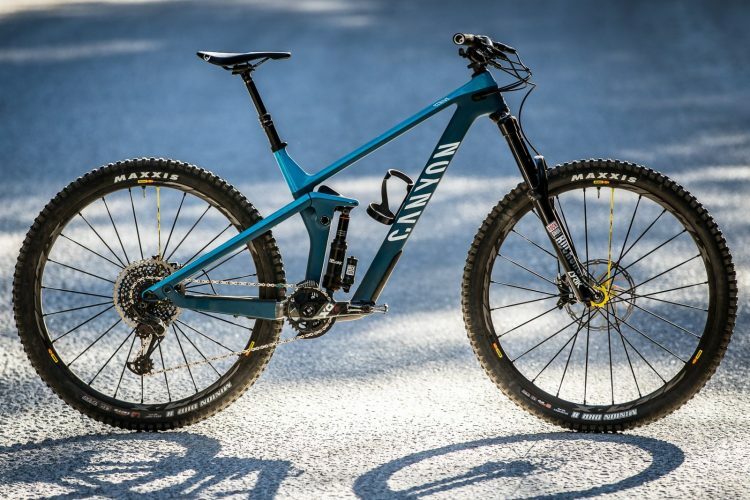 Canyon has created a modern Enduro bike that is prepared to withstand the toughest and most technical trails of the EWS, but also stands ready for normal use along local trails for the average rider. The new Strive is agile, comfortable, precise, and offers enough confidence to descend just about anywhere. 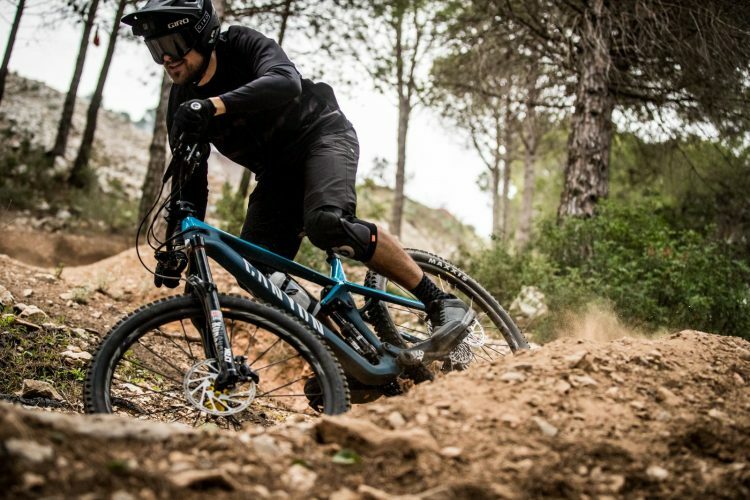 In addition, with the improved Shapeshifter technology, it becomes one of the most versatile Enduro bikes on the market today. The new Strive is available in 6 different models, starting with the simplest of all, the CF 5.0, and ending with the highest of the range, the CFR 9.0 LTD. All models use carbon frames, with the only difference that CFs weigh approximately 300 grams more than CFRs due to the type of fibers and the way they are combined, although the rigidity is the same. The rear travel of all models is 150mm, but the front varies, being 160mm in the CF, and 170mm in the CFR. Available sizes range from S to XL, for riders who measure from 1.58m to 2m high.